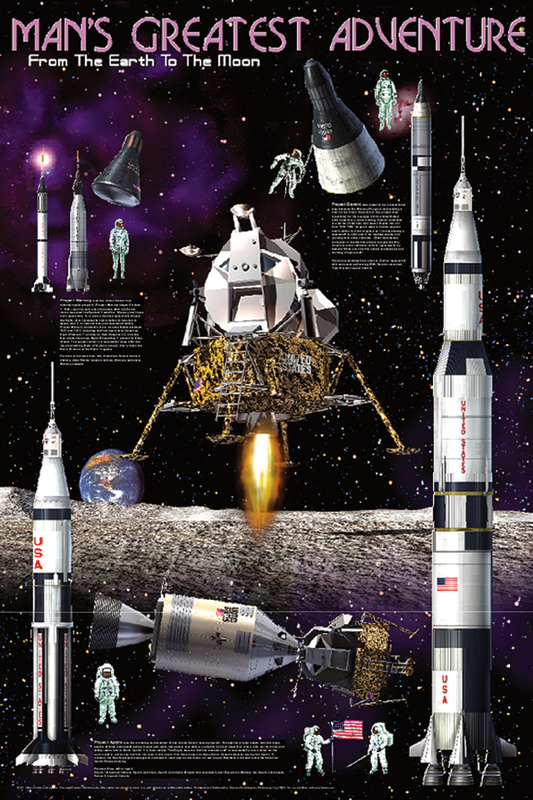 This beautiful poster shows what it took for the United States to put a man on the moon. Describes the Mercury, Gemini, Apollo Earth Orbit and Apollo Moon Missions. Each is accompanied by highly detailed illustrations of the launch vehicle, crew vehicle and astronauts. Dramatic central image shows the Eagle landing on the moon's surface.